The most common, true, sandalwood essential oil is steam distilled from the heartwood of an evergreen tree, Santalum album, native to India. The heartwood is the most precious part of this small tropical tree. The best heartwood is found in the roots. Sadly, sandalwood trees are slow growing and have been over harvested for many years. The trees must grow for thirty years to be suitable for harvesting. Sandalwoods are unlike most trees that are sawed down at the trunk. They're harvested by removing the entire tree, including the stump and root. Sandalwood oil has a brownish-orange color, thick consistency and exotic scent. It's rich, sweet, floral, wood, fragrance is heavy and long lasting and slow to evaporate. It acts as a fixative component in blends. Australian sandalwood oil comes from the Santalum spicatum tree, native to southwest Australia. It's another true sandalwood and valuable oil. This shrub-like tree has greenish grey foliage with orange colored, spherical, fruit about 3 cm in diameter. Hawaiian sandalwood oil is a true sandalwood from three species: Santalum ellipticum, (Coast Sandalwood), Santalum freycinetianum, (Freycinet sandalwood) and Santalum paniculatum. These three sandalwood species are shrub-like trees with flowers. Santalum ellipticum is rare but the other two species are relatively common today, but they've not regained their former size or abundance. True sandalwood essential oil is expensive! Be responsible, use it sparingly. The high demand of consumers isn't being met because the resource is so scarce. Illegal poaching of sandalwood trees has left consumers empty handed. India has tight department regulations determining the amount of material cut and sold. Since true sandalwood oil is rare, traders accept oil from related species or unrelated plants. Amyris essential oil, (West Indian sandalwood), is from Haiti or other islands in the West Indies. It's steam distilled from wood chips of the Amyris balsamifera tree. It's known as "poor man's sandalwood" because it's an inexpensive alternative to true sandalwood. It's not related to true sandalwood at all. It has a sweet, smoky, slight woody scent with vanilla undertones. It won't hold aroma like true sandalwood oil, maybe only a few months. True sandalwood essential oil continues to improve with age. Although Amyris is not considered "true" sandalwood it offers skin care benefits. It's an excellent choice for skin cleansers or facial care blends. It slows the visible signs of aging, (fine lines and wrinkles), by regenerating skin cells. It cools, soothes and uplifts skin. It has anti-inflammatory properties. MAKING SOAP: Amyris is used as a scent fixative in soaps and perfumes. You can use it at the same ratio as true sandalwood oil in your homemade soap recipes. Blend with complimentary essential oils. It blends with most woody scents as well as others. Looking for the right essential oil or soap making oil? Find it, now! MEDICINAL - Relieves: urinary tract infections, digestion, throat irritations, dry coughs, colds, flu, laryngitis, mumps, nervousness, impotence, insomnia and depression. - Improves memory and concentration. - Taken with milk or water it reduces blood pressure. - Induces calmness. Sedates anxiety, fear and stress. SKIN CARE: It's suitable for many skin types: dry, cracked, chapped, rashes, scars, spots, minor wounds, sores and acne. Get rid of blackheads, reduce inflammation and have acne relief with a fresh, cool, soothing sensation. Its antiseptic properties protects skin from infections. Reduce signs of aging such as fine lines and wrinkles. 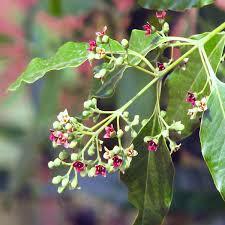 Sandalwood's cicatrisant property smoothes skin, fades spots and repairs acne scars. Mix sandalwood powder or oil with turmeric powder and a few drops of organic lemon juice. Blend mixture to a pasty texture. Add water, if needed, to make a smooth paste. Gently apply paste to face. Avoid eyes, ears, nose or any sensitive areas. Let paste stand approx. 10 minutes. Rinse face well with lukewarm water. Gently pat face dry. Repeat procedure, as needed, alternating days. USES: Sandalwood essential oil is used in perfumes, cosmetics, deodorants, aftershaves, body fragrance, incense, lotions, creams and soaps. For aromatherapy. It's been used for medicinal, spiritual and religious traditions, of India, throughout history. Blends with essential oils: bergamot oil, black pepper, chamomile, clary sage oil, clove oil, geranium, grapefruit, frankincense, jasmine, lavender, lemon, mandarin, mints, myrrh, neroli, oakmoss, sweet orange, palmarosa, patchouli oil, rose, rosewood, vanilla, vetiver, yiang yiang. Essential oils contain bioactive ingredients. This means they contain natural chemicals that interact with biological systems. They're potent chemicals and should be used with care! Never use large amounts of essential oils externally, or internally. Never use them straight. They must always be diluted in carrier oil, or soap, lotion, or other buffering agent. Finally, never use them without knowing what their bioactive compounds are known to do. Consult your health care provider, if in doubt, before using any essential oils.